ATP Electronics is a leading solutions provider of high-performance, high-quality and durable NAND flash and DRAM memory modules. For over 25 years, we have been transforming the industrial and enterprise computing landscape with our high-performance and high-endurance NAND flash storage products and DRAM memory modules. Acutely aware of the rigors of data-hungry applications, we design, test and manufacture products according to the most meticulous standards. 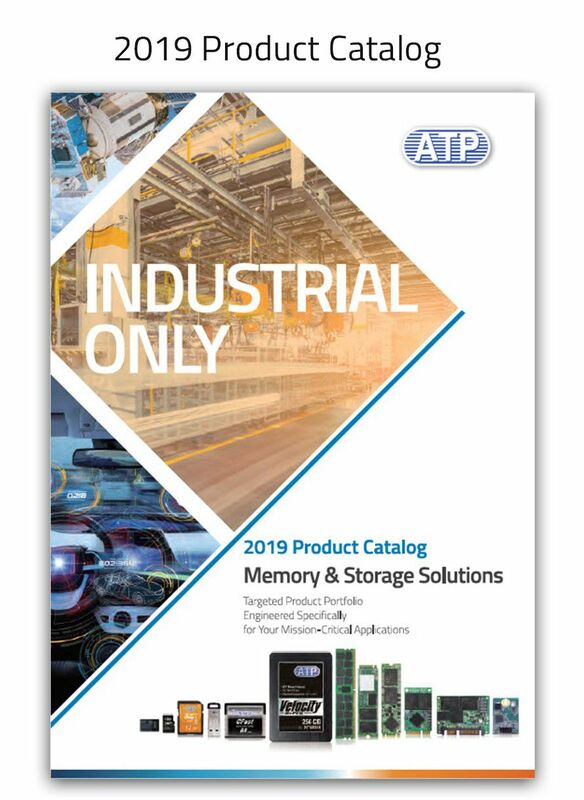 The ATP Electronics name is synonymous with absolute dedication to uncompromising product and service quality, and this is why companies around the world entrust their storage and memory needs to us. ATP products are designed and built to meet the exacting demands of modern computing and to accomplish mission-critical tasks even under the toughest operating conditions. Advanced packaging techniques like System-in-Package (SiP), and unique technologies such as PowerProtector, Secure Erase, and more, demonstrate our astute technical capabilities. Testing and validation processes such as Test During Burn-In and Automatic Test Equipment systems showcase our exceptional manufacturing and testing capabilities as well as our resolute commitment to deliver best-in-class products. The ATP brand continues to grow through industrial OEM sales channels with offices in the USA, Europe, and Asia offering worldwide engineering and sales support.